Call 732-598-7700 to see the Condos and Townhouses For Sale. Ramtown Manor Howell was built in 1986 and 1987. It’s located in the Ramtown section of Howell, near the Garden State Parkway Exit 91. There are 97 homes in Ramtown Manor Howell, The homes have either two or three bedrooms. Some of the homes are single level ranch houses, while others have two levels. Sizes range from 1144 square feet* to 1320 square feet of living space*. All homes have a one car garage, additionally some of the homes have a basement. Common area maintenance and snow removal are included in the low monthly association fee. Also, Ramtown Manor is a pet friendly community. This community is not approved for FHA financing. However, mortgage programs are available to qualified borrowers which allow for similar, low down payments. Call us to hear more details. Children living in Ramtown Manor Howell who are in grades kindergarten through eight attend the Howell School System while students in grades nine through twelve will attend one of the schools in the Freehold Regional High School District. Each of the six high schools offers different specialized course studies, such as global studies, performing and fine arts, medical science and public service among others. When students enter high school, they may also elect to attend one of the five high schools in the Monmouth County Vocational School District. Specialized courses are available in fields such as computer science, and biotechnology. Also courses in the medical and science fields are available, among others. In addition, many private schools are nearby. Ramtown Manor is near to the Garden State Parkway, exit 91. Bus service to New York is available on nearby Route 9, additionally, rail service to New York is available in Belmar. Are you Looking for an Active Adult Community? 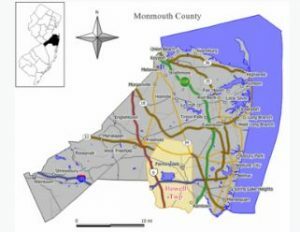 *square footage as per Monmouth County tax records.